Tatler magazine has never generated buzz on our forums — until now. The British fashion, lifestyle and high society magazine has a brand new EIC, Richard Dennen, along with a sleek new redesign for the July 2018 issue. Hollywood megastar Nicole Kidman is Dennen’s first cover girl, looking utterly flawless wearing Giambattista Valli in the ultra-glam cover shot photographed by Victor Demarchelier. Tatler‘s new look was well-received on our forums the moment it dropped. “A celebrity? So this will be a new Vanity Fair?” caioherrero asked. “This certainly makes me look at the magazine anew, and if it wants to take on the challenge of being the new Vanity Fair, I’m all for it,” approved tigerrouge. “Wow, this is exciting! The magazine hasn’t been relevant for years so hopefully this will revive it,” Yohji commented. Also fond of the outcome and keen to see more was forum member Miss Dalloway. 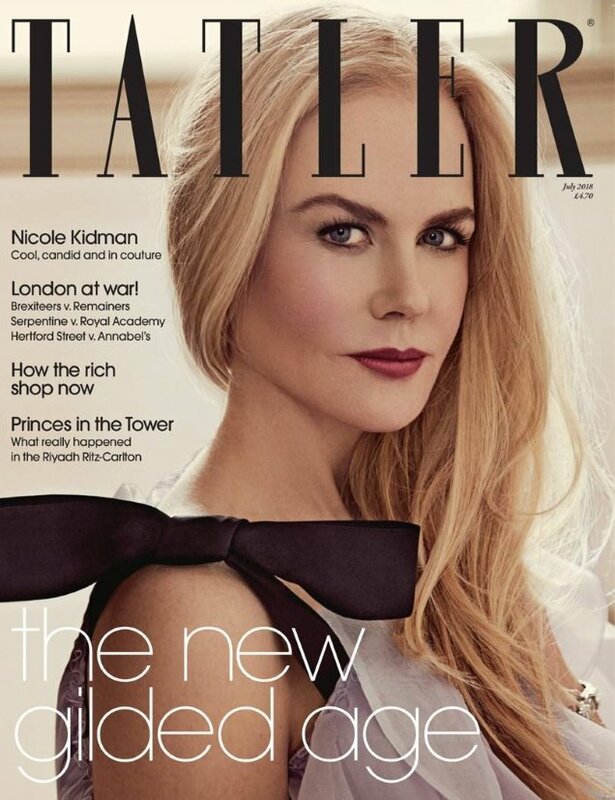 “Interested to see where Dennen takes Tatler, it was in serious need of change!” she stated. “She looks very sophisticated and beautiful. They retouched her just right, she looks her age,” GivenchyHomme acknowledged. “I actually like this. There’s something regal about it,” voiced MON. Are you a fan of the magazine’s new look? Sound off and take a look at Nicole’s cover feature here.